Kinect Launches In Japan But Does It Connect With Players? After going on sale earlier this month in North America, Kinect finally launched in Japan. How'd it go? There was at least one long line for Kinect, which is good news. Why is it good news? Because if Kinect is successful in Japan, hopefully that means more Japanese developers will make software for it. If Kinect isn't successful, that means Japanese developers could be at a disadvantage, because the product looks like it is going to be a hit worldwide, putting Japanese game companies in the position of trying to figure out what players outside the country want to play on Kinect. Besides the obvious space issue, the real difficulty Microsoft has in Japan with Kinect is the install base. For many consumers, buying Kinect means buying an Xbox 360. In the West, where the install base is high, consumers can purchase Kinect to enrich their Xbox 360 experience. 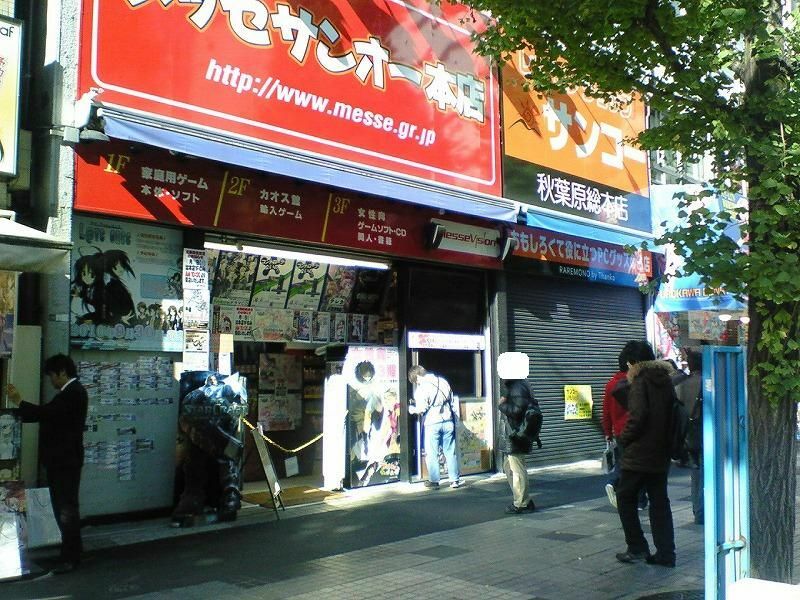 At electronics stores and toy shops, there were clear notices on windows for customers lining up for the Kamen Rider toys going on sale on November 20. At the stores that carry Kinect, there weren't such notices — it's as if Japanese retail has given up. That's a shame, because Kinect seems to be a truly interesting product. The surprising thing was how the Kinect displays were set up. 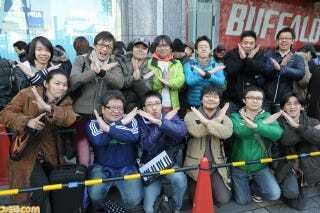 In some stores, such as where Microsoft held the Kinect launch in Akihabara, there were obvious Kinect displays, and consumers could easily find the product. In other stores, such as a very large electronics store in North Osaka, there were only Kinect pamphlets in the bottom row of the Kinect aisle. Consumers had to ask at the counter if the store had Kinect in store — something that doesn't exactly make for easy shopping — and clerks then had look in the stock room. Several clerks I asked weren't even quite sure what Kinect was and had to check with their supervisors. Even though the Japanese Kinect launch looks like a bit of a bust compared to the Times Square blow out, it probably will move more consoles in the weekly hardware sales charts and, who knows, maybe it'll catch on via word of mouth. It is hard to gauge hardware sales and software sales from lines. Long lines do not necessarily mean big sales, and short lines do not necessarily mean low sales. As Japanese game blog Hatimaki points out, when the new PS3 launched, launch lines were short, but the console ended up a success for Sony. We just won't know how Kinect is doing until the official hardware sales chart hits. It might sell 10,000 units, it might sell 100,000. While Microsoft gauges hardware sales in North America in the millions, it gauges them in the thousands in Japan. Every little bit helps.